Have You Heard of ORA? 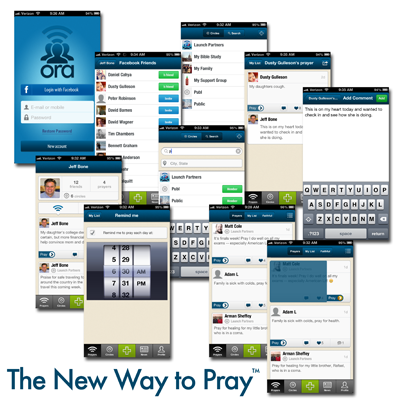 Introducing “ORA” a disruptive technology to promote the oldest form ofÂ recognized religious expression in the Christian and Jewish faiths–prayer. TheÂ ORA system creates a personal mobile experience for the individual and anÂ enterprise-quality community management platform for any organization toÂ invite, connect, share, respond and interact with one another in intercessoryÂ prayer. â€œORA collects, organizes, tracks, reminds, connects and securely shares prayerÂ requests and answers with anyone you choose. ORA does this at a personal andÂ intimate level with your friends and family through the mobile platform orÂ â€˜appâ€™ on your smartphone. 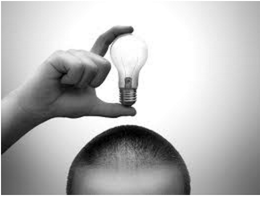 â€ Stated Dusty Gulleson, ORA Chief Executive Officer. Social networks are typically inappropriate â€œhigh noiseâ€ areas that are notÂ private enough for many sensitive postings like prayer requests. ORA offers anÂ environment where prayer is the most important thing. ORA not only makes prayerÂ available on your smartphone, but it makes comments, reminders and prayerÂ partners always available too. ORA offers immediate feedback to requests,Â questions and comments from prayer partners and helps to track and remind theÂ user of how prayers are answered immediately or over time. ORA helps you get aÂ glimpse of the eternal that can be missed when weâ€™re caught up in the stress ofÂ everyday life. ORA is a free download for iPhone (and is coming soon for Android). The ORA smartphone app integrates into the ORA Community system. The ORA CommunityÂ system is a software as a service (SaaS) solution designed with many moreÂ management features that allows an organization to administer community-wideÂ prayer communication and easily integrate with existing email, churchÂ management or relationship management software from leading providers. For aÂ limited time, ORA is offering a no-cost trial of the ORA Community system forÂ an organization.